Breakthroughs in medical research in an everchanging world often require innovative perspectives and seemingly unconventional approaches from the brightest minds in their respective fields. Recognizing Stanford University’s (“Stanford”) fervent dedication towards engaging in cutting-edge, outside-the-box, and impactful medical research, the Foundation has established the second D. H. Chen Professorship (the “Professorship”) in 2018 within Stanford Medicine, in hopes of spurring their progress in achieving such breakthroughs. Professor Tony Wyss-Coray (“Prof. Wyss-Coray”), Professor of Neurology and Neurological Sciences and Co-Director of the Alzheimer’s Disease Research Center at Stanford University, was appointed as the inaugural holder of the Professorship. 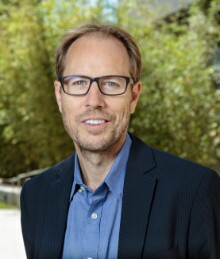 A microbiologist and immunologist by training, Prof. Wyss-Coray is the lead researcher in Stanford’s efforts in brain rejuvenation, based on his team’s discovery that plasma extracted from young mice can increase neuroactivity and cognitive functioning when transplanted onto older mice, and that subsequently plasma from older mice can detriment brain health of their younger counterpart. I am thrilled and honored to be the inaugural recipient of the second distinguished D. H. Chen Professorship. With the foresight of The D. H. Chen Foundation, my laboratory here at Stanford University will be able to gain new insight into brain aging and dementia, and how we might be able to slow or reverse this process for the betterment of humankind. Based on this groundbreaking finding, the Wyss-Coray laboratory team has been conducting multiple investigations to identify pathways under which this phenomenon can be possible, in hopes of zeroing in on key factors related to brain aging and neurodegeneration. The identification of such factors would generate significant implications towards understanding – and consequently treating – a variety of age-related neurodegenerative diseases such as Alzheimer’s Disease, which origins or treatment options continue to elude the medical community to this day.